A new study questions why so many more medical procedures are performed on men than woman in war-torn countries, highlighting a possible inequity in access to health care. Working as a surgeon in sub-Saharan Africa, Sherry Wren couldn't help but wonder why so many more men than women sought her care. Her curiosity led her to ask Doctors Without Borders for data on surgeries conducted in its humanitarian projects in 12 war-torn countries in Africa and the Middle East. Between 2008 and 2014, the nonprofit organization performed the majority — 69 per cent — of its nearly 50,000 operations in those countries on men, Wren and her colleagues report in a new study. "Working in low-income countries, primarily in sub-Saharan Africa, it has become obvious to me that women are underrepresented in the hospitals," said Wren, professor and vice-chair of surgery at Stanford University School of Medicine in Stanford, Calif.
"I'm concerned that women are having less access to surgery in these countries," she said in a phone interview. "We don't know causality here. My hypothesis is we're looking at a societal judgment about how women are valued." 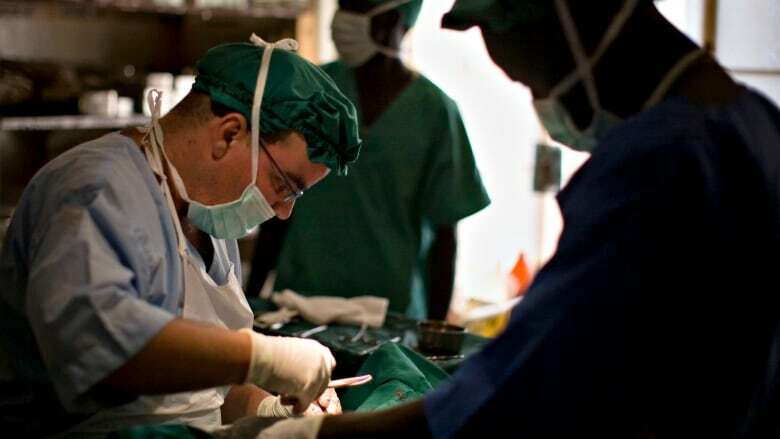 The study analyzed surgical procedures from Doctors Without Borders projects, which, unlike other health-care facilities in the regions, offer services for free. Most of the operations were performed in Afghanistan, the Democratic Republic of the Congo, Pakistan and South Sudan on civilians whose ages ranged from one to 105 years old. In predominantly Muslim countries, men were 70 per cent more likely to have surgical interventions, according to the study, published in the journal Surgery. Senior author Wren believes that disparity likely stems not from religion but from culture, however. Not surprisingly, men more frequently were treated for violent trauma, including injuries from bombs, gunshots and knives, Wren and her colleagues write. But 73 per cent of the interventions for nonviolent trauma, such as burns and vehicle accidents, also were performed on men. Dr. Barclay Stewart has seen far more male patients while working in Ghana, Nepal, Kenya and South Sudan, and in a phone interview, he said the study "sounds an alarm." "It comes at a time marked by the highest proportion of persons displaced by conflict and disaster in history," he said. "The study should make us all concerned we're not doing enough to be sure that women receive equal surgical care as men, have equal access to surgical care and have an equal understanding of conditions that require surgical care." Stewart, a surgery resident at the University of Washington in Seattle, was reluctant to draw conclusions from the study data. Researchers were unable to tease out whether men were more in need of surgical services; whether services were unavailable to women, and if so, why; and whether women chose traditional healers over western health-care workers. Women get more than half the operations in higher-income countries, Wren said.